Renato Canonico is renowned in his field as a trial lawyer who has handled numerous high-profile cases and has represented corporations and individuals, including directors and officers, in criminal matters for the past 10 years. He has significant practical experience advising and litigating on a wide variety of issues including fraud, anti-money laundering, anti-bribery and corruption and other regulatory and compliance issues, as well as defamation and corporate crimes. He regularly represents companies and individuals facing potential criminal liability and advises clients on how to minimize the risk of such liability. Besides handling proceedings in courts and tribunals at all levels, he advises clients on strategies to reduce their potential exposure to litigation and in assessing pre-litigation remedies, as well as on non-contentious issues. Through these cases, Renato has refined his skills in client communication and comprehensive case management. 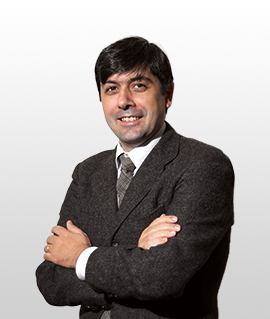 In addition, he has experience in deposition preparation, motions briefing, and Italian criminal procedure law. Renato Canonico graduated from the University of Palermo with a First Class degree. He continued his studies at the University of Aberdeen in Scotland. He has been a member of the Italian Bar since 2002. He speaks Italian and English. He is of Counsel.